As we grow older, we may welcome many changes. 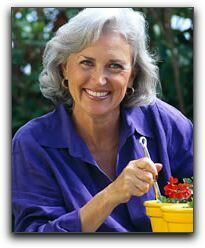 However, most Salt Lake City area retirees do not welcome wrinkles, gray hair and dental problems. Even if your teeth are showing visible signs of wear such as enamel loss, staining, and chips, it is not too late to restore your youthful smile. And, though tooth loss is fairly common for Murray UT residents over sixty, in most cases it is preventable. At Salt Lake Dental Care in Salt Lake City area, we treat patients of all ages. We specialize in cosmetic dentistry and dental implants. If you live in Murray UT, Salt Lake City, or Sandy Utah, call 801-938-8855 to schedule a dental consultation. If you haven’t seen a dentist in a while, you will be interested to learn about the latest cosmetic dentistry techniques. Many procedures can be completed in one visit to our Murray UT cosmetic and general dentistry office.